What a great cookie, you will love them! 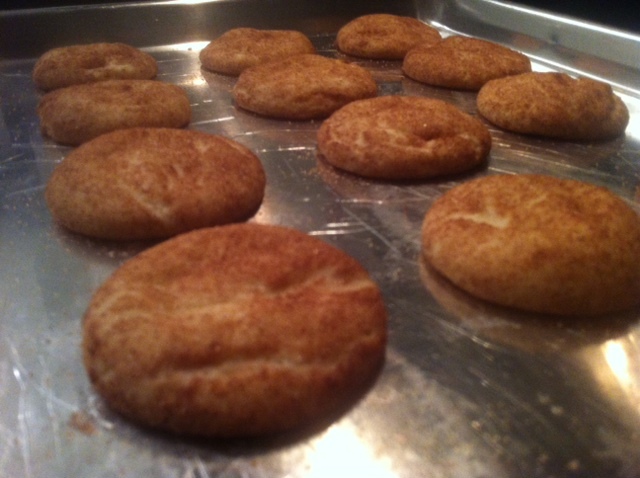 Shape the dough using a rounded teaspoon and placed into 1 1/4 cup sugar and the cinnamon. Roll the dough balls in the cinnamon mixture. Place the dough balls on an ungreased cookie sheet 2″ apart. Bake 8-10 minutes until set. Remove from the cookie sheet to a wire rack.